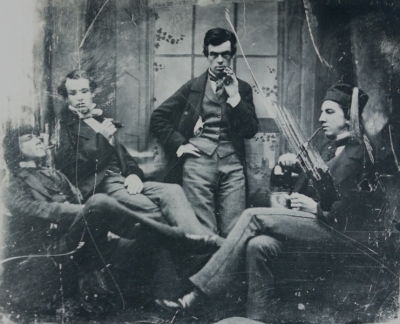 Samuel Butler, standing, and friends in 1855, just before he came to New Zealand. 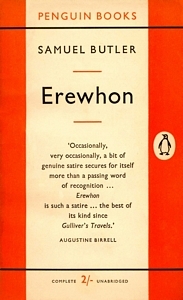 Like many people, I knew of Samuel Butler's novel Erewhon: as the book about “nowhere” spelt backwards (and wrongly). I also knew of a mythical place called Mesopotamia Station. Now I am reading the book. It is by Samuel Butler published in 1872. So who was Butler and where is Mesopotamia? In John Pascoe's book Explorers and Travellers: Early Expeditions in NZ (1971) he calls Butler a curious mixture of bisexual man, an earnest atheist”, a musical artist, a thinker and a writer. He sounds like a modern urbanite to me, but he also explored, climbed mountain passes and developed large parts of Canterbury. A young, classically educated Butler came to New Zealand in early 1860. He started with some money from his father, aiming to farm and make his fortune. 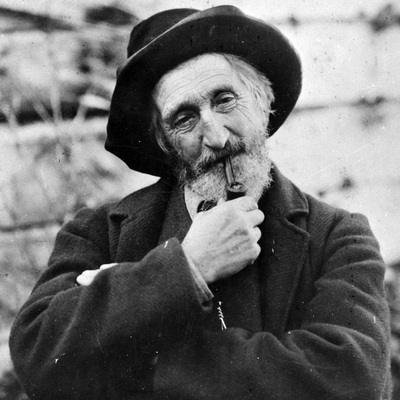 At that time land cost £100 per 1000 acres, but settlers could claim “unoccupied” land for £1 per 1000 acres and as long as they stocked them and fenced a certain amount within a year it was theirs. 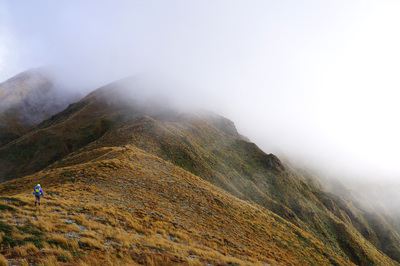 Butler decided to explore for land up the South Island's main river valleys – the Waimakariri, Rakaia and finally the Rangitata, where he found a tributary called Forest Creek. Climbing a mountain at its head he saw the extensive tussocked watershed of Bush Stream: he claimed 5000 acres of vacant country. To that he added more and more, as did future landowners until Mesopotamia was over 100,000 acres. Ancient Mesopotamia was between the Tigris and Euphrates rivers, and is considered the 'cradle of civilisation' . It included the ancient Sumerian, Babylonian and Assyrian empires. It is where modern-day Iraq, Kuwait and Turkey lie. New Zealand's modern Mesopotamia sits between the Rangitata River and it's tributaries Forrest Creek, Bush and Camp streams. In 1864 Butler sold it on for 8000 pounds and returned to Britain for a long interesting life in arts and writing. Erewhon is a satiric utopian fantasy germinated in Butler's Mesopotamia. The hero works on a sheep station in an unnamed pioneer country and dreams of finding his own land, beyond the hills. 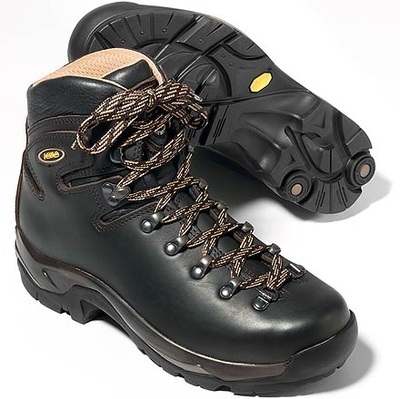 He explores up the rivers and over mountains, looking for green pastures but finds a lost civilisation instead. We are very lucky to be able to travel over such fabled land on our long walk.  Te Araroa's Two Thumbs Track goes from Lake Tekapo to the Rangitata River and across Mesopotamia. I'll be taking a copy of the book to read again and leave for fellow travellers. Butler's cottage on the Mesopotamia Station, 1868. This is a good little piece about Mesopotamia Station and other high country stations affected by tenure revue. Click HERE.